I had every intention of adding on the extra .45 miles to round up to 60 miles this week - the type A side of myself making a grand appearance. When I realized what the weekly mileage was, it was the end of the week and I knew it would have to happen on Sunday's long run. 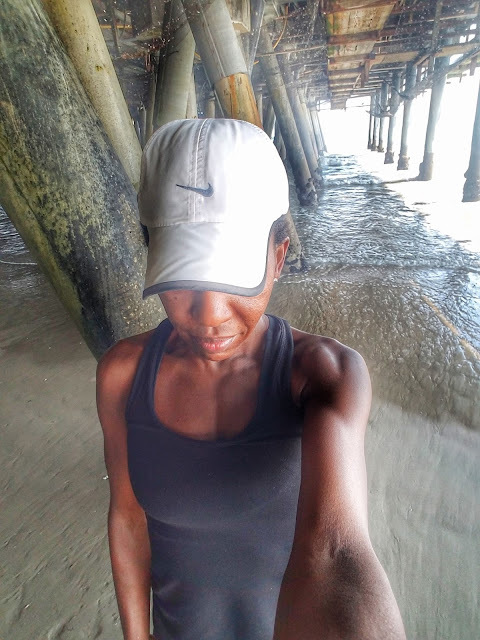 The best intentions and plans don't always happen and I was ready to finish yesterday's long run right at 14 miles - I had nothing left for the .45 and I'm okay with that. It was a good week of running and a poor week of everything else. We lost a dear family friend and it turned our world upside down. I love that I can turn to running for so many reasons: joy, goals, and grief. "Athletes who hope to improve must recognize their strengths and weaknesses. Then they must work at turning their weaknesses into strengths" (excerpt from the book Mind Gym). Have you assessed what your weaknesses are as a runner? It's interesting to think about. When I run a marathon, my weakness comes at the end of the race when it really hurts the most. 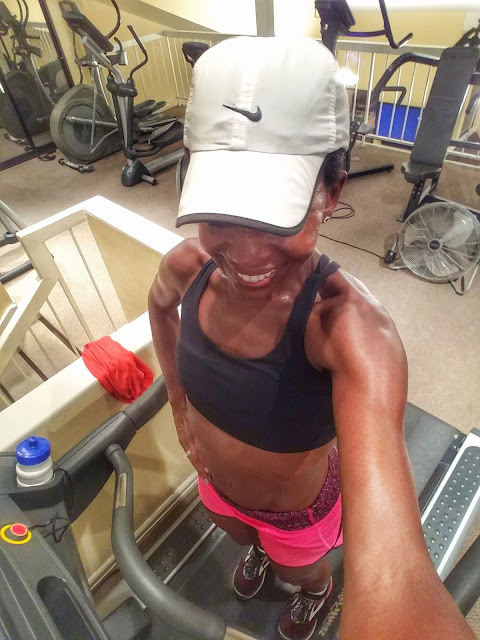 If I see my pace slowing down over the course of a mile, I find myself getting discouaged and sometimes slowing down even more without realizing it, because I think the mind convinces the body to stop working hard. Instead of rallying and pushing against the pain and discomfort, I tend to give into it, and then a little bit of defeat happens. You end up talking yourself out of finishing the race really strong because you didn't get want you wanted, which is the emotional yet wrong approach. 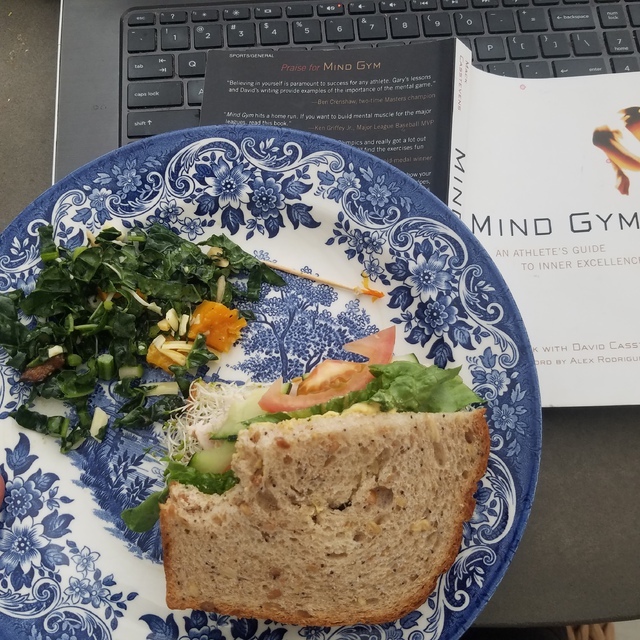 During the Boston Marathon in April, I felt big gains in my mental game. Even though I knew that I wasn't going to run some awesome PR, I still pushed myself to finish strong and make every second count. Remember, every single second counts in a race - keep reminding yourself of that during the crazy hard parts. I have decided not to run the Boston Marathon in 2018. I know I made the decision the moment I crossed the finish line this year. I love the race and all that it stands for so much, but I've gone two years in a row and that's enough for now. There are so many other races I want to run and my family is ready to go somewhere else for Spring break. Boston will always be there and I plan to go back again someday, just not in 2018. I hope you guys are having a great Monday! Have you ever run the Boston Marathon? Did you register for the Boston Marathon in 2018? What are your mental weaknesses in a race?